An in-depth discussion of a real-world need for a C extension in Ruby and how a non-C dev got it done. How to deploy and orchestrate a Rails 5 application with Kubernetes in Google Container Engine (GKE). There’s quite a lot to it. 9 rules that every Rails developer could read and re-read. Complete with explanations of the variants of Big O and examples of common Active Record methods that trigger them. Rack-App is a performant web microframework that has a single dependency. A ‘teeny’ release of the stable 2.3 series updating RubyGems, its SSL certificates, plus some bugfixes. 2.2.6 has also been released. Faster than the existing Enumerable methods used. MatchData gets a named_captures method that returns a hash of results. Including a snooze button for your alerts, and code snippets for every line of the backtrace. Learn more. x == x = WTF? 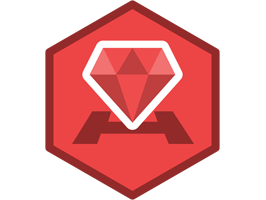 synvert is a DSL for converting Ruby code/syntax. PWAs are all the rage. Here’s how to bring Rails to the PWA party. A new 8 minute video covering useful tools like Homebrew, ZSH, Atom, and RVM. New hanami-model engine based on ROM. Aimed at displaying bits of information easily. Uses Chrome or Electron.